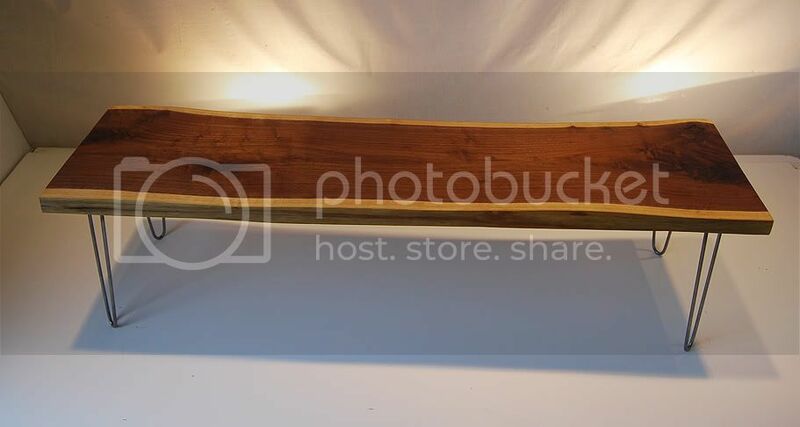 This is a beautiful Black walnut live edge slab coffee table. The design has been hand selected and crafted from local reclaimed black walnut trees. Together with functional art and the inner beauty of these trees this coffee table celebrates the world around us. Blends well with any Mid Century, Modern Danish or Eames Era inspired interior. This black walnut slab has been air and kiln dried, and professionally crafted. I selected these steel hairpin legs to accentuate the beauty of this table. Hairpin legs are also available in many other sizes to suite your individual needs. Measurements 57.5" L x 15-16” W x 15.5” H and 1.5” thick. 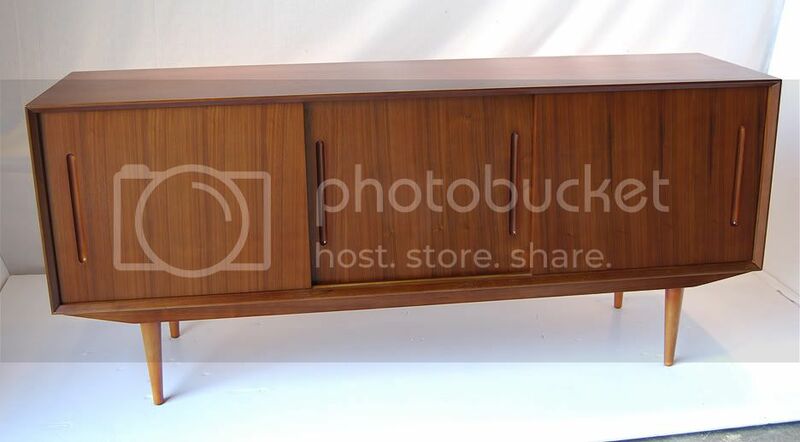 This is a Beautiful brand new Mid Century era inspired Sideboard/Media console. With its solid craftsmanship and visual appeal, this sideboard is the perfect choice for your dining room or in your living room as a media console. This sideboard has three sliding doors with three adjustable shelved compartments to suit your individual needs. With a solid frame, this sideboard/media console is finished with a honey colored American walnut veneer. Compliments any Mid Century or Modern living interiors. 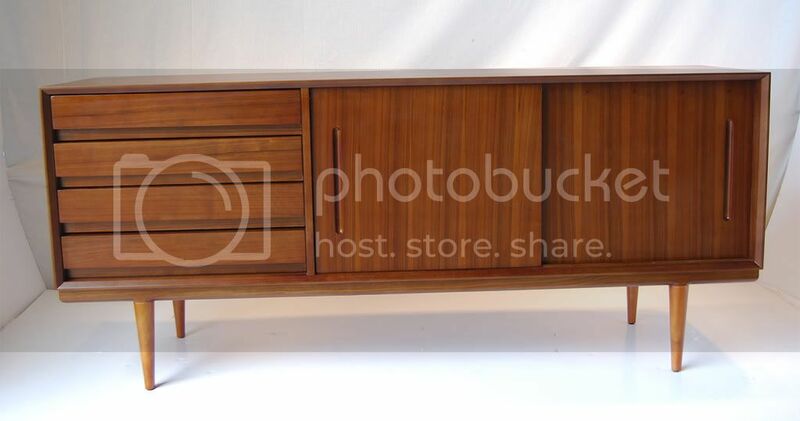 This is an Elegant brand new Mid Century era inspired Sideboard. With its solid craftsmanship and visual appeal, this sideboard is the perfect choice for your dining room or in your living room as a media console. This sideboard has four dovetail constructed drawers and two adjustable shelved compartments to suit your individual needs. With a solid frame, this sideboard/media console is finished with a honey colored American walnut veneer. Compliments any Mid Century or Modern living interiors.